This classic 1843 tale by Charles Dickens has all your favorite characters in their original telling: Scrooge, Tiny Tim, Bob Cratchit, and the rest. This beautiful hard cover edition includes the original illustrations, in full color, by John Leech. The cover is also very close to the original. 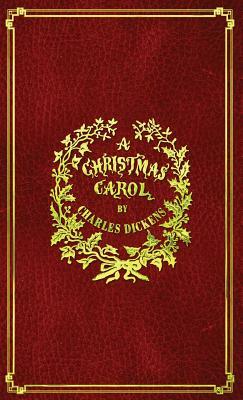 All in all, if you want to read "A Christmas Carol" as nearly as it was when it was first written, this edition is for you. Note: John Leech's illustrations were created as engravings which had to be colored by hand, or through wood cuts. Due to the desire to create an edition that is as faithful to the original as modern typesetting technology will allow, they were not mofidied or enhanced for this edition. Readers should be aware that Leech did not produce his illustrations in a manner that they are accustomed to seeing in later books.